I’ve written a preview of the forthcoming AV Festival 2016 over at Eye for Film. The festival takes George Orwell’s The Road to Wigan Pier (1937) as its thematic inspiration, asking “Meanwhile, what about Socialism?”. As I explain within the preview, AV Festival 2016 is billed as ‘Part 1’ in relation to Orwell’s book (which is divided into two parts) with ‘Part 2’ intended to arrive in two year’s time in the form of the festival’s 2018 edition (it’s a biennial festival). I read the book last month and was startled by how much of what Orwell observed and criticised in the late-1930s is still with us in 2016 – it is well worth reading. I’m looking forward to discovering how the festival has interpreted it, not least because I’ve hardly seen anything that they’ve programmed. Eye for Film have also made a page with the full film listings of the festival – you can see that there is a lot of variety arranged around three themed weekends. I’ll be seeing a bit of everything, including several of the films at the last of those weekends – Levels of Democracy: Ukraine Film Weekend – but my main focus will be the British documentary strand, which is woven throughout the programme over the course of the whole month. I’m also hoping to get to some of the exhibitions and installations that will be at various locations around the city. You can find the full details on the festival’s website – here. Due to the timescale over which the festival is spread, I will manage to review / write about more individual films than I normally get the chance to at a single festival. I’ll be writing reviews for Eye for Film and a report on the British documentaries for desistfilm. My reviews are already starting to appear, so I will make a separate post tomorrow for the various links. 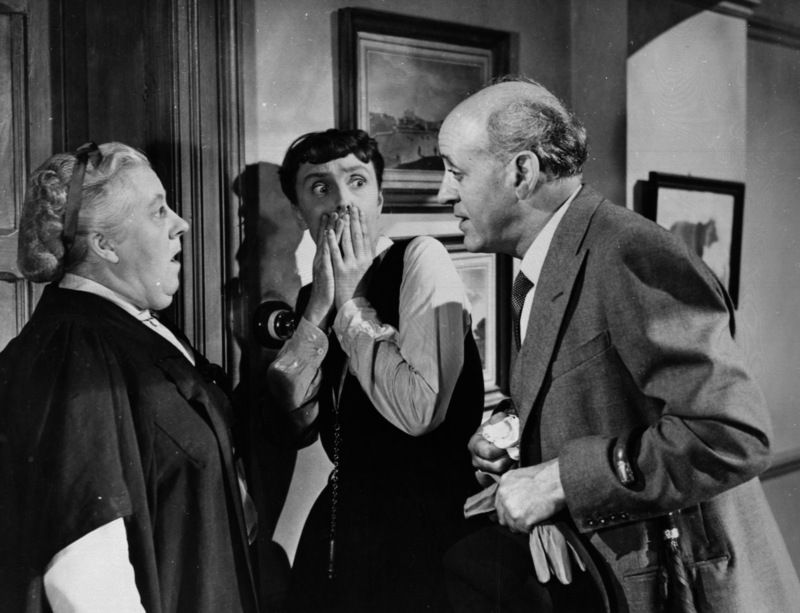 One of Launder and Gilliat’s funniest productions – and a British classic – The Happiest Days of Your Life has just been re-issued on DVD/Blu-ray in the UK. My review for Eye for Film is now online – here.